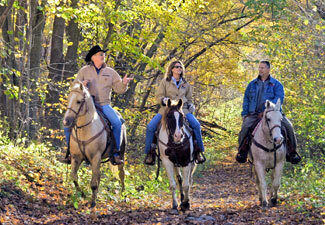 Our Georgia Mountain property is an ideal location for those who enjoy horseback riding. You’ll find lots of residents in the North Georgia mountains taking up this recreational activity. When you go on walks or car rides through the valleys and mountains around our Georgia mountain property for sale, you’ll often spot riders taking advantage of the beautiful weather on horseback. Whether you’re an experienced rider or new to horseback riding, you’ll be able to enjoy this sport around our Georgia mountain property. There are thousands of acres of gorgeous riding terrain—meadows, streams, woods, and valleys. There are also numerous trails to follow. The climate is ideal for horseback riding. In the summers, you can avoid the heat with morning and evening rides. Fall and spring are temperate and particularly beautiful. In the winter, you’ll need to bundle up, but the scenery is peaceful and the ride will invigorate you. There are several riding establishments around our Georgia mountain property, including A Step Above Stables and High Meadows Riding. Come check out our Georgia mountain property for sale and get to know the area on horseback. 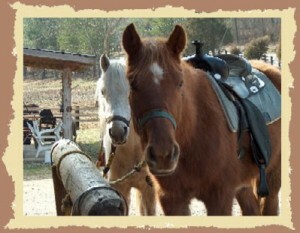 This entry was posted in Things to Do in North Georgia and tagged Horseback Riding. Bookmark the permalink. Does It Snow Near Our North Georgia Property for Sale?